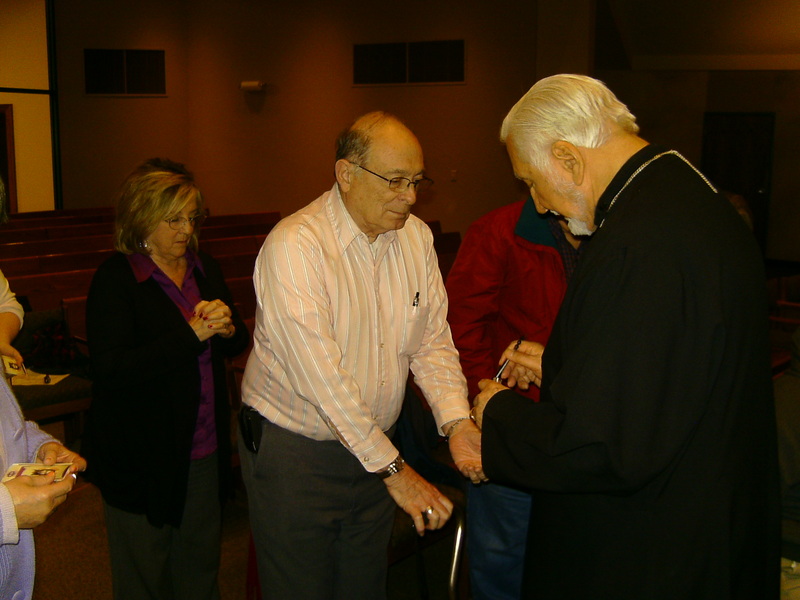 On Tuesday, January 24, 2012 St. Athanasius Byzantine Catholic parish gave an introductory class on Eastern Catholicism to a group of over 50 people in Muncie, IN. Members of 3 Roman Catholic churches were present. The presentation was held at St. Francis of Assisi church which is located beside the college campus of Ball State University. Introductory remarks were made by Dave Armstrong (adult faith formation coordinator for St. Francis parish) and Henry Peresie (member of St. Athanasius who lives in Muncie.) John Danovich, cantor, led the group in the evening rule of prayer using plain chant. Henry showed 2 videos: Eastern Catholic Church – an Introduction and A Brief Explanation of the Eastern Catholic Churches. Henry’s presentation continued with church history milestones and different customs in the various Eastern churches in communion with Rome. There was an extensive question and answer session with many queries regarding icons. Next was a refreshment break including nut and poppy seed rolls baked at St. Athanasius’ kitchen and cookies and soft drinks provided by Mary Armstrong. 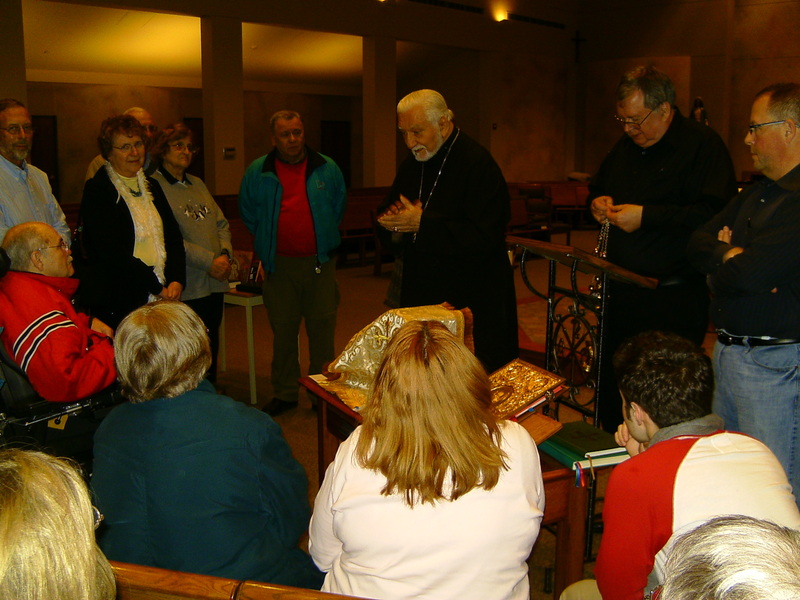 Then Father Sidney Sidor, pastor of St. Athanasius Church, kept all the guests mesmerized with his walking through the Proskomedia service (preparation of the gifts), which precedes every Divine Liturgy. Fr. Sidor then explained the 3 Benedictions at each liturgy, the sacraments of the church and the importance of healing and deliverance prayers. The conclusion was the anointing of all those present with holy oil from our semi-monthly healing service. One couple informed us that on 9/5/1955 they had attended the first Divine Liturgy celebrated in English at Mount Macrina in Uniontown, PA featuring Archbishop Fulton Sheen and Bishop Nicholas T. Elko. Glen Grabow, Knights of Columbus financial secretary at St. Athanasius, was also present. A follow-up presentation on the Divine Liturgy is likely in the next few months.